1000 The kings of Strathclyde are at the height of their power. They rule as far south as the Solway Firth. 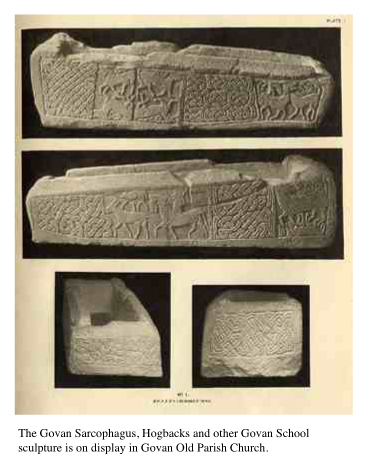 They and their families worship at the old church of St Constantine at Govan and are buried in the churchyard, their graves being marked by finely carved cross-slabs and ‘Hogback’ stones' . The hill beside the river is used for important ceremonies, gatherings and pronouncements.